California Consulting, Inc is proud to return to Independent Cities Association as a Bronze Sponsor. Thank you ICA for your good work for cities. 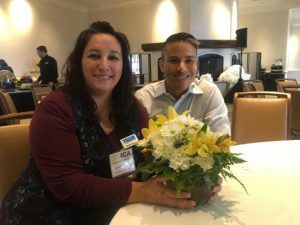 California Consulting Associate Francine Castanon attended the ICA conference in Santa Barbara this weekend and met with several of our clients. Tai Sunnanon has done wonderful work at ICA and we are proud to provide grant services for many ICA members. #ICA﻿ - California Consulting, INC.
California Consulting is pleased to announce the California Department of Parks and Recreation: Regional Parks Program (Proposition 68).